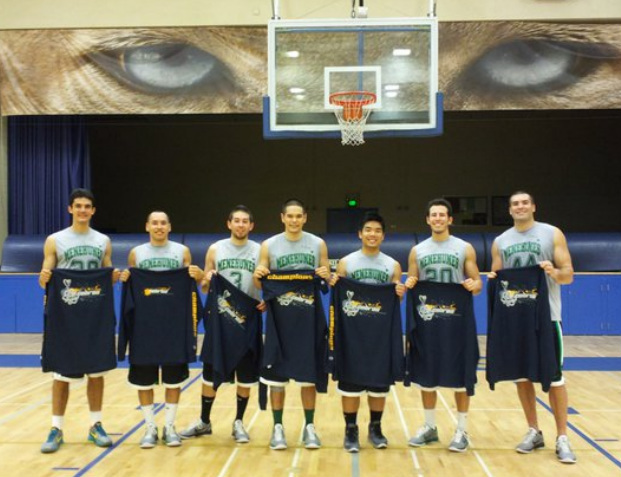 2011 Central Cal Cobra Tournament Champions! The championship game started off as a war. Central Cal Cobras were a physical team and play well with each other. They are a complete team with veterans leading the way. The game started off slow but Menehunes picked it up. Menehunes gained a comfortable lead at the half and never looked back. There were a lot of amazing shots during the game but the shot of the game was by Ryan Lee. Ryan look went up against the Cobras center and had an AMAZING “Wind-mill reverse layup” off the glass and even finished it off by making the “And 1” free throw. 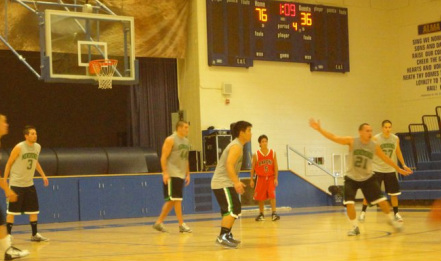 Jarrod Carroll and Jimmy Miyasaka both had 23points however Jarrod stole two free throws from Jimmy Miyasaka. Jarrod actually had 21 points with 2 steals(2 free throws from his own teammate Jimmy)! It was a great tournament overall. 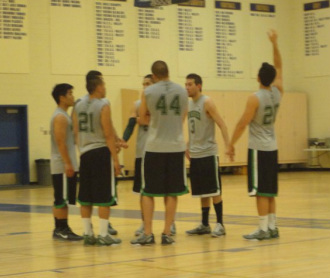 Menehunes were tested throughout the tournament and the championship game was a classic for Menehunes. Cobras came out strong and they are well respected in the Menehune eyes. They played with a lot of heart and passion for the game. Menehunes came out flat at the get go, but then turned it on in the second quarter. Sangha were hitting from the outside and had a lead midway through the first quarter, then the Menehunes turned it on and the rest was history. The Sangha played tough and were a well guard oriented team. Menehunes scoring was spread out but Jarrod Carroll lead the way with 21points. Jason Murishige played well and scored 8points. Nick Milan also played well getting a double-double, 16points and 10+ rebounds. Billy Hofman did a great job distributing the ball to everyone for open shots. Menehunes advances on to the Championship game against the host team. Let the comeback begin! Team huddle at halftime! Menehunes were caught by surprise and pulled off a huge comeback victory. Fresh came out firing and took a convincing 10 point lead at the half, after Ryan Lee knocked down a 3pointer. Menehunes were trailing the whole game and was down by as many as 14 points and then made there charging comeback in the second half. Scott Holbert had two powerful put backs to get the Menehunes going. Billy Hofman hit a 3pointer in the second half to bring the Menehunes back to 8points. The game changing play was when Scott Holbert found Jimmy Miyasaka in the corner for a 3pointer and Menehunes took their first lead of the game 56 to 55 with 3minutes left in the 4th quarter. Jarrod Carroll had 13 points in the second half to help lead the comeback and hit key jumpers in the last 3 minutes of the game to extend the lead. Jimmy Miyasaka also had 18points the second half to help the Menehunes come back inch by inch. Billy Hofman hit 2 huge free throws to put Menehunes up by 4points with 12 seconds left. Barons. Jarrod Carroll finished off the game by hitting two more free throws to put away the Fresno Fresh team. This game gave the Menehunes a scare but the Menehunes dug down deep and pulled out another great victory. Menehunes move to 2-0 in Pool A and advance on to the semifinal game tomorrow at 11:30am. Menehunes closing out game 1! After a long 4 hour drive and a stop at the Nike outlets, the Menehunes made a great debut at the Central Cal Cobras Tournament. Menehunes came out strong and dominated the first game against the Sacramento Barons RED Team. Menehunes were firing on all cylinders and took a convincing 20point lead at the half and finished them off in the second half. Menehunes were lead by Jimmy Miyasaka with 23points, 7-3pointers, then Jarrod Carroll put on a display of amazing shots and finished with 18points. Billy Hofman was running the team once again and chipped in with 8points. Ryan Lee did a little of everything and finished with 4points. Jason Murishige had a layup and Nick Milan, straight from Hawaii, tailed in with 6points. Scott Holbert dominated the paint once again and had 10 points. Menehunes move on with a 1-0 record in Pool A.
Menehunes were invited by Central Cal Cobras to there 13th annual basketball tournament. 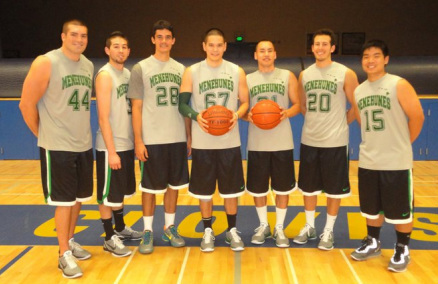 This will be the first time that the Menehunes travel out of the southern California region to play in a tournament. Menehunes want to do this trip annually and are a proud supporter of Cobra Basketball. This tournament is consist of 12 teams with 4 pools. Each team will play 2 games the first day and the second day is a playoff format. Menehunes will travel with 7 players. 1) Jimmy Miyasaka, 2) Billy Hofman, 3) Ryan Lee, 4) Scott Holbert, 5) Nick Milan, 6) Jarrod Carroll, 7) Jason Murashige.